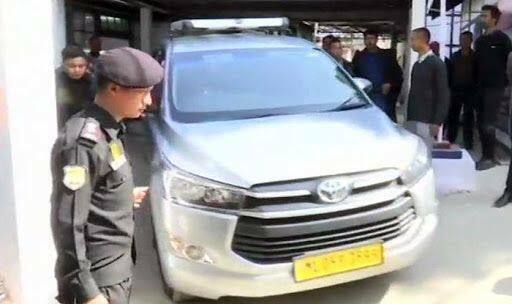 New Delhi: Kolkata Police Commissioner Rajeev Kumar has been released by CBI in Shillong after three hours of questioning in connection with Saradha chit fund scam and other ponzi scheme cases. He will be returning to Kolkata today. On Tuesday, he was grilled for 10 hours. The direction came against the backdrop of a dharna organised by West Bengal Chief Minister Mamata Banerjee in Kolkata. A high-drama was witnessed outside Rajeev Kumar’s residence after a team of CBI sleuths reached his house in Kolkata. At least five were also detained and released after a few hours. Following this, CM Mamata Banerjee and other top officials of the state went into a huddle. The CM sat on ‘Save The Constitution’ dharna, which garnered huge support from various Opposition parties and the state police.